Obama explained on NBC’s “Today” show on Wednesday. “And we’ll go on YouTube and show it off as a family tattoo,” he said. 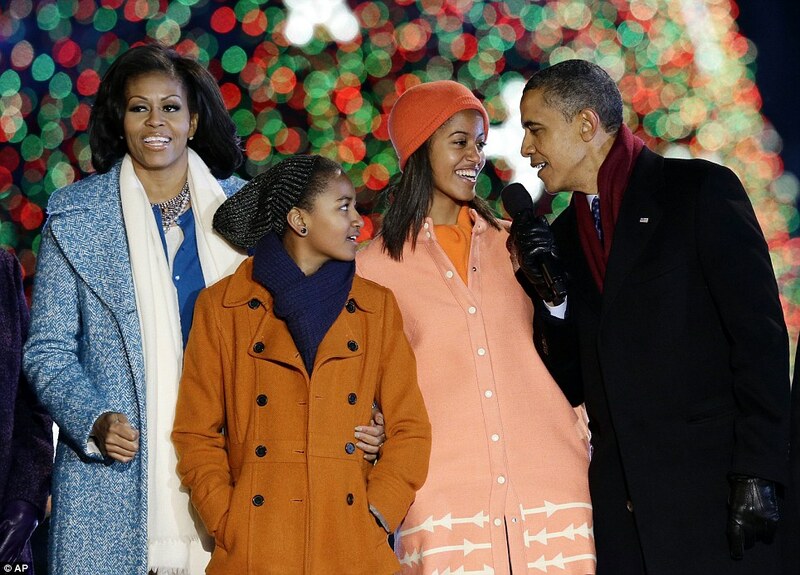 “Our thinking is that it might dissuade them from thinking that somehow that’s a good way to rebel.” Obama and his wife Michelle have two daughters: Malia, 14, and Sasha, 11. Many of us might be left with the burden of comprehension, wouldn't a simple NO! Cut it? If you’re a parent, chances are at some point your child might come to you and say, “I want to get a tattoo.” It usually happens somewhere after the words, “Can I take the car?” I guess President Obama realises that teenagers don’t want their parents to be "cool". They prefer them to be invisible. The number of teens and young adults getting tattoos is alarming; one might think this unimportant hype regarding what others do with their own bodies is inconsequential. But it isn't. A lot of artists who were squeaky clean are getting all "tatted up" and they influence the younger generation. So many of will use the justification, "Everyone's getting one!" The Bible warns us against tattoos in Leviticus 19:28 (Amplified) which says, "Ye shall not make any cuttings in your flesh for the dead, nor print or any tattoo marks upon you: I am the Lord." I'm glad it is outlined in the Bible because I just can't entertain the idea of teenagers and young adults permanently marking their bodies. The problem with young people wanting a tattoo is that they cannot imagine the future. They cannot imagine a time when their dazzling tattoo will become a problem. Unlike piercing in your ears, your nose or even your tongue, which you can hide by taking the jewellery out when you go to an interview, tattoos are permanent and you cannot just make them disappear. We human beings are prejudiced, people form their opinion on you without exams or formal accreditation but using external cues. The truth is, Tattoos make a very bad first impression. Most employers won't want to take the risk. Although people cannot predict the future, I believe that adults should be able to think of these possibilities. Teens, on the other hand, do not have enough life perspective to imagine their future adult life and it is their parents' responsibility to present the options to them. things like weddings, graduation ceremonies, standing on stage to receive a big award for scientific research, trying to get a job as a manager, etc. Thankfully tattooing has not really become a generally accepted practice in Nigerian society. However, even if society approves of something that does not make it right in God's eyes. Whether it's to fit in, to celebrate a success, or commemorate a loss, a tattoo is a permanent reminder of the past. As many of our children join the diaspora I think the issue of tattoos should be addressed they need to understand that living life should not be about living in the past and engraving everlasting reminders of a fad or a stint of rebellion on one's arm, neck or any other place. It should be about setting a good example today, and planning for the future.